I wonder how often people have seen this bottle of whisky and thought that this was actually whisky infused with coffee. Or a special type of malt that has notes of coffee. Or anything to do with coffee. Well it doesn’t. This here is Coffey Malt Whisky! Coffey refering to the famous column stills that were patented by Aeneas Coffey in 1830. Malt refering to just plain malt. So basically this here is whisky that was produced by using only malt in a Coffey/column still. If this were made in Scotland, it would have to be called grain whisky. But it ain’t. It’s made in good old Japan where the whisky runs free like buffalo wings on all-you-can-eat night at TGI Fridays! With the recent rise in popularity of Japanese whisky, it seems like a lot of Japanese expressions are now flooding the market. To the uninitiated, it can be difficult to distinguish the multitudes of bottles with calligraphic Japanese characters in bold accompanied by sparse descriptions in English. I remember attending an “Evening with the Blenders” event at the Scotch Whisky Experience where an excited patron held up a bottle of Yoichi NAS to me and said they won it in the raffle. “It’s collectible!”, they decreed. Well unfortunately for them, or fortunately for me, not all Japanese whiskies are collectible. The Akashi blended whisky is very much an expression whose value will not likely rise in the near future. Tis a drinking whisky. Aren’t they all? So what is this? Well Akashi is a brand which represents the Eigashima distillery in Japan (which is located in Akashi City). They started like many Japanese distilleries as a Sake and Shochu producer and have recently popped up on the European and American markets. However, this expression is a blend of whiskies from Japan and somewhere else. Sources suggest grain whisky from America. Apparently the Japanese version is quite different from the EU and American versions in that it contains molasses spirit. So that one is quite interesting but what we have here is basically an international blend. The marketing department probably thought making it look very Japanese would help boost sales in Europe and the States, and it probably has. Note that White Oak is another brand they use for their whiskies, so you might see people refering to this as Akashi or White Oak. They use these names on other expressions so it can get a bit confusing. Another cool tidbit about Eigashima, it is “technically” the oldest whisky distillery in Japan because they got their whisky license in 1919 (Yamazaki started in 1923), but they really didn’t start making whisky until much later. Distillery: Blend of whisky from Eigashima Distillery and American grain whisky. The enigma that is the Pure Malt range from Nikka. What is in this whisky? It’s a secret and it epitomizes the Japanese philosophy on whisky production. There’s a bit more experimentation with blending, there’s a bit more hidden behind the label, there is a lack of sharing with others but a willingness to acquire Scottish gold. I’ll attempt to disperse a bit of the fog surrounding this particular expression as well as the line it comes from. Nikka Pure Malt Black is probably the most widely available and commonly encountered expression from the Pure Malt range. The labeling of pure malt indicates that only malt whisky was used to produce these expressions. However, there may be a bit of a caveat to this since Nikka may have used their Coffey malt (using only malt but distilled in Coffey stills instead of pot stills). Under the Scotch Whisky Associations rules this would be called grain whisky. However, the use of the term Pure Malt is also forbidden for Scottish whiskies, which must use the term blended malt instead. If you think that is confusing, get ready to fall deeper into this rabbit hole. While attending the Evening with the Blenders event at the Scotch Whisky Experience in Edinburgh, I spoke to the Master Blender for Nikka, Tadashi Sakuma. I asked him about the rumours that Scottish whisky was used in the Pure Malt series. He grinned slightly and nodded his head, then told me he could not say which ones. Seeing as how Nikka own Ben Nevis distillery, I think it is likely that they used whisky from Ben Nevis, however, by not telling me which distilleries were included he seemed to hint that there were more. Indeed the rumours suggest that the Pure Malt White expression contains a bit of Islay whiskies. How Nikka acquired these whiskies is truly perplexing and I can only assume they traded Ben Nevis spirit for it. Anyway, enough of this whisky riddle, let’s talk about something more substantiated. There are three expressions in the Pure Malt series: Black, White, and Red. White is supposed to be the peaty one hence the rumours of Islay whiskies. Red is supposed to be the soft and easy drinking one. While Black lies somewhere in between perhaps representing the most balanced of the range. It’s hard not to see some like-ness in branding to the Johnnie Walker range but other than using colours and a sort of fuzzy matching of flavour profiles, these are a different type of whisky all together. Type: Blend of malt whiskies but may not comply with Scottish standards for this category. Distillery: Blend of whisky from Nikka owned malt distilleries. May contain whisky from Ben Nevis Distillery. Rumoured to also contain whisky from other Scottish distilleries. May also contain Coffey malt whisky from their Miyagikyo Coffey stills. My favourite thing about Nikka is how adventurous they are with their releases. It really reflects the character of their founder Masataka Taketsuru who pioneered the art of whisky making in Japan. This expression exemplifies Nikka’s unique approach to whisky. It’s a blended whisky served up at cask strength (you don’t see that often!). Hence “From the barrel”, indicating that it is basically direct from the barrel. According to their website, they marry the blend in used casks for 3-6 months before bottling. 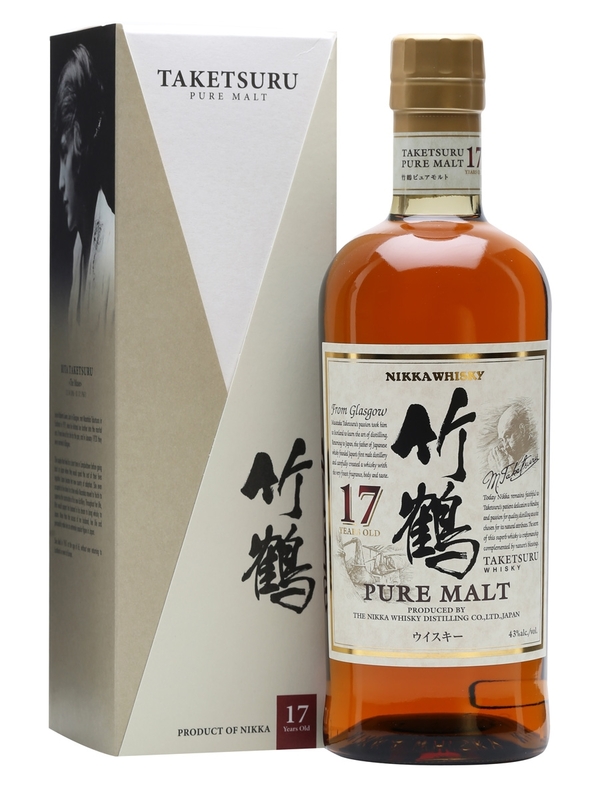 While I could not find information about this anywhere, I am assuming that the whisky going into this blend is from Nikka’s Japanese distilleries: Yoichi and Miyagikyo. Although they could have also used whisky from their Scottish distillery, Ben Nevis distillery. Just for clarification, Miyagikyo distillery has both a malt distillery and a grain distillery. So whisky from Miyagikyo could be either. Some other adventurous expressions from Nikka include: Nikka Coffey Malt, Nikka Coffey Grain, and Nikka Pure Malt. We were gifted a bottle of “From The Barrel” by our friends, Frank and Sabrina, in Munich, Germany! In terms of whisky backstory “The Glover” is like a Marvel superhero. Where to begin? I suppose we should begin with the legend himself Thomas Blake Glover aka the Scottish Samurai. Not really sure who coined that name for him but it is both pretty awesome and crass. Hollywood will probably jump on this story soon. Mr. Glover was born in Aberdeenshire to an English coastguard and a Scottish mother in 1838. So I guess he’s only half Scottish? He’s credited with playing a vital role in the industrialization of Japan. He brought the first railway locomotive to Japan, which was name the Iron Duke (again with the awesome monikers). He took part in commissioning one of the first Japanese warships, the Ryujo Maru, which was built in Aberdeen. And he developed Japan’s first coal mine. Pretty impressive, especially since this was during a time when foreigners were not looked well upon in Japan. So what better way to pay homage to such a man than to create a whisky that is the marriage of Scottish and Japanese whiskies? So that’s what Adelphi has done! They’ve made two blended malt whiskies which have, confusingly, both been named “The Glover”. The more expensive of the two is a 22 year old which is a vatting of just 3 casks from Hanyu, Longmorn, and Glen Garioch and resulted in 390 bottles. Clocking in at just over £1000 this expression was just a bit out of our price range. No doubt the high cost is mainly due to the inclusion of the highly sought after Hanyu whisky. The Glover 14 year old, however, was priced at a much more affordable £100. With only 1500 bottles produced it’s quite a rare treat. We were able to acquire a sample from the good folks at Whisky Auctioneer. The exact composition of the 14 year old was not released, but it contains both Scottish and Japanese whiskies. The 14 and 22 year old were released at the same time and lauded as the first Scottish-Japanese whisky ever launched. However, this is not quite true. Nikka uses the whisky from Ben Nevis Distillery (Nikka owned) in many of their blends and blended malts, especially the Nikka Black 8 year old. They don’t really advertise this however so it never got the special attention it deserved. Regardless, the Glover is a unique and rare whisky and has deservedly received quite a bit of attention in the whisky industry. And here comes the third addition to the flagship NAS Suntory whiskies completing their all star trifecta. First it was the Yamazaki and Hakushu Distiller’s Reserve and now this, Hibiki Harmony. The NAS (No Age Statement) movement is catching momentum in the Scotch industry but it has practically taken over the Japanese whisky industry. Nikka discontinued all their age statement single malt core expressions and are releasing new NAS whiskies to fill the void. While Suntory now have a new starter range for each of its three big “brands”. 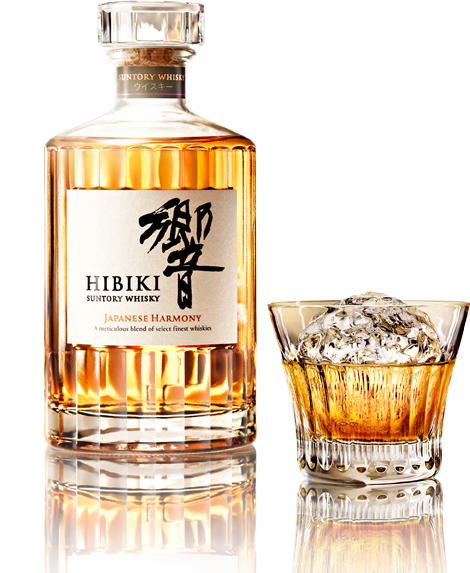 Interestingly enough, the Hibiki Harmony is priced just about the same as the Hibiki 12. So it’s probably somewhat inevitable for prices on the 12 to shoot up in the near future. Or perhaps the 12 will vanish like so many others. Only time will tell. One thing I find interesting is the naming. Hibiki supposedly means “echo” or “resonance”. So this new expression could be translated to “resonance of harmony”. Very acoustic. Perhaps hinting at the cyclical nature of the whisky industry with its booms and busts. I suppose Suntory are quite pleased with the recent popularity of Japanese whiskies which has led to the creation of this NAS bottling. I can only imagine what names they will use when the whisky bubble bursts.